"A personal family summer treat!" 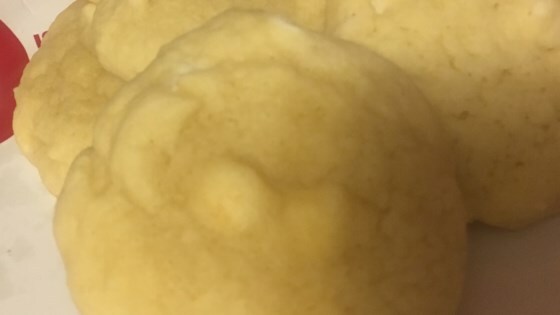 Mash the butter and sugar together in a bowl with a wooden spoon until the mixture is creamy and well blended, and beat in eggs, one at a time. Stir in the raspberry extract, almond extract, and milk. In a separate bowl, stir the flour and baking powder together until thoroughly combined, and gradually beat into the butter-egg mixture. Stir in the chocolate chips, and drop by spoonfuls onto the prepared baking sheets. Bake in the preheated oven until very lightly browned at the edges, 8 to 10 minutes. Amazing! I made them with vanilla extract instead of raspberry extract since i didn't have any and they still turned out great. Some of the best cookies i have ever had! This was a great cookie to try out. I work in a upscale restaurant and we once served a chocolate raspberry chocolate chip cookie and I never got to try it. This one was nice. I will be trying this recipe! I am in a cookie mode and this sounds like a great alteration of the chip cookie. Very nice light taste! I didn't have extract so I blended up a small package of raspberries I had and added about a quarter of a package of cream cheese! Wow!! The flavor is awesome!!!! I made these cookies with white chocolate chips. The raspberry taste was not that strong, and it was pretty artificial Overall, though, they were decent cookies. I made these for my german club and they devoured them. They are so delicious and addicting! The only thing I changed though was I didn't add the almond extract.